How to navigate in this tutorial. 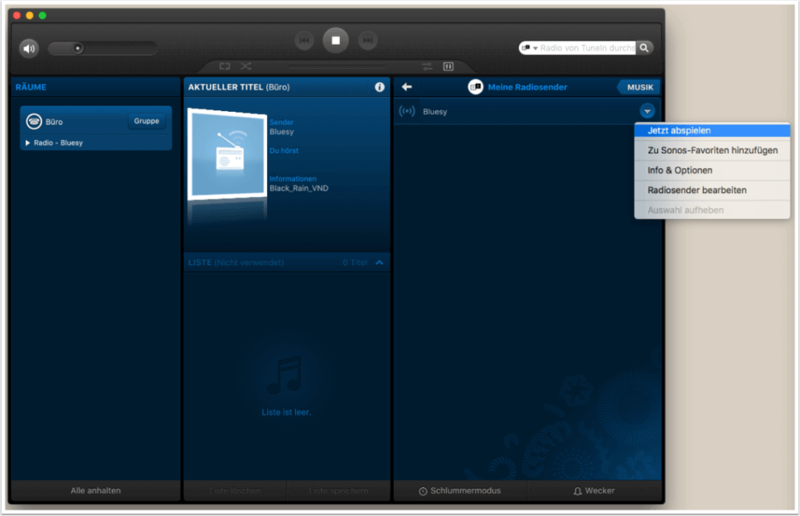 You can navigate directly to the individual sections using the navigation menu on the left. Tutorial contents that you don’t need can easily be skipped. Of course, you can also simply scroll with the mouse and completely go through the tutorial from beginning to end. Click on the # signs next to the section headings to get the direct link to the respective section. You can archive this link for later reuse or forward it by email to employees or colleagues. 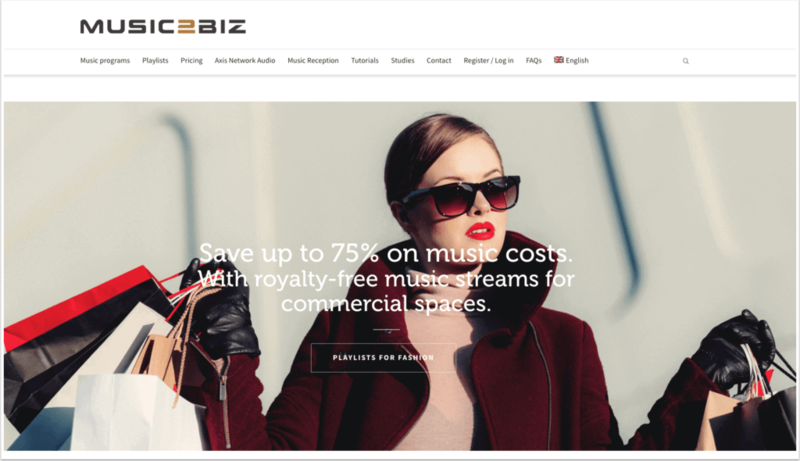 On the MUSIC2BIZ homepage you will find the menu item “Login” in the upper navigation. 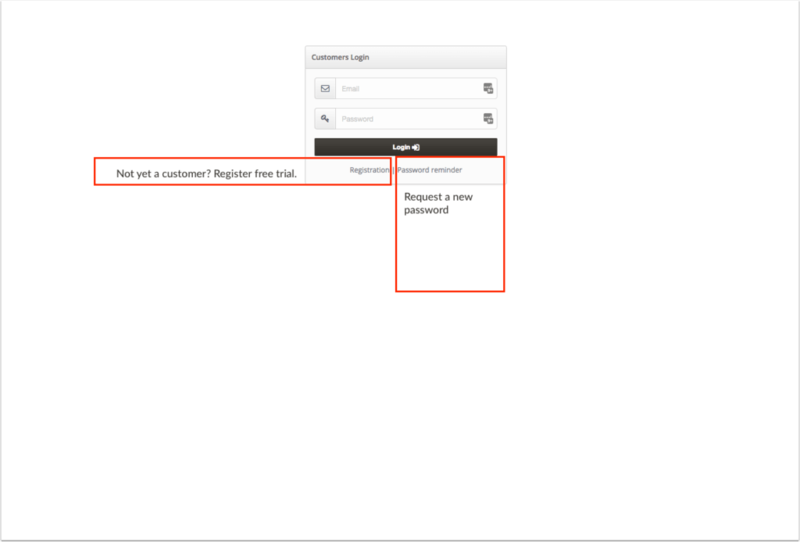 Click on this menu item to call up the login page for your customer account. 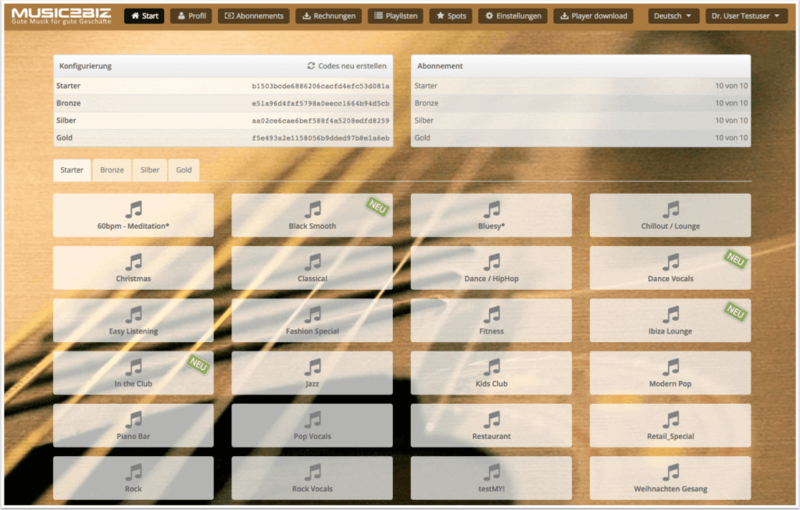 Login to yourMUSIC2BIZ account with your customer credentials. The start page of your customer account will open with the program selection buttons. 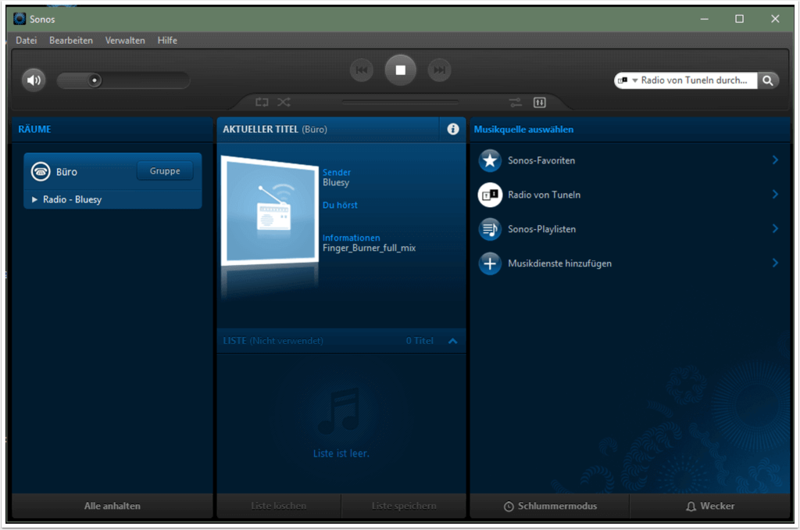 Click on any program selection button of your choice to open the streaming URL page for that program. 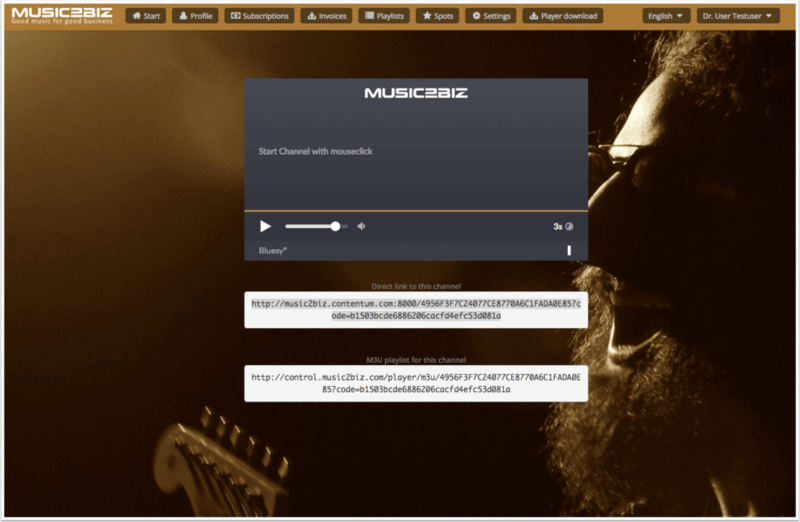 A new page will open with the streaming URLs for the selected music program. 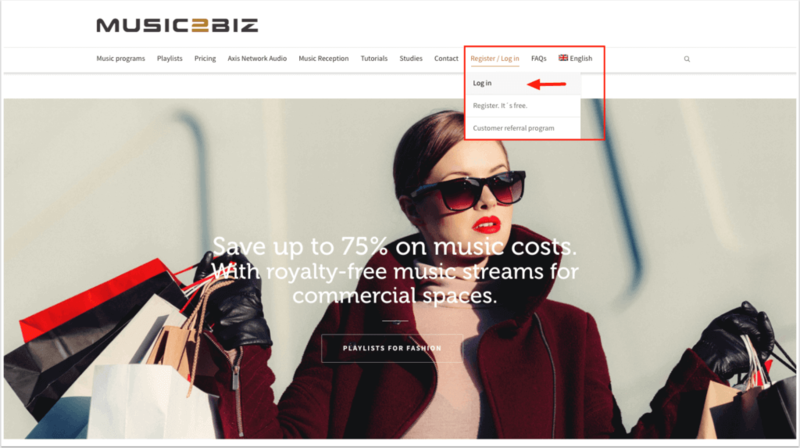 To create a MUSIC2BIZ program as a radio station in the Sonos Controller, copy the “Streaming URL (Direct link to this channel)” of a MUSIC2BIZ program to the clipboard. 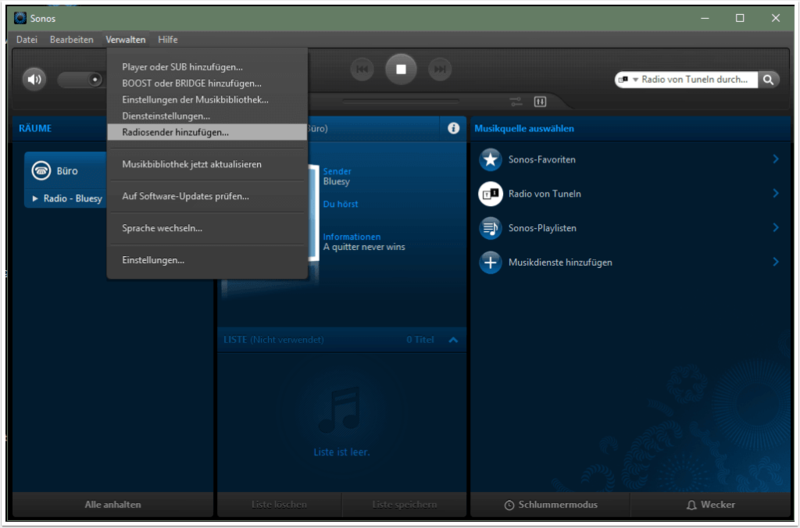 Visit the Sonos Support page and download the Sonos Controller App for your operating system. 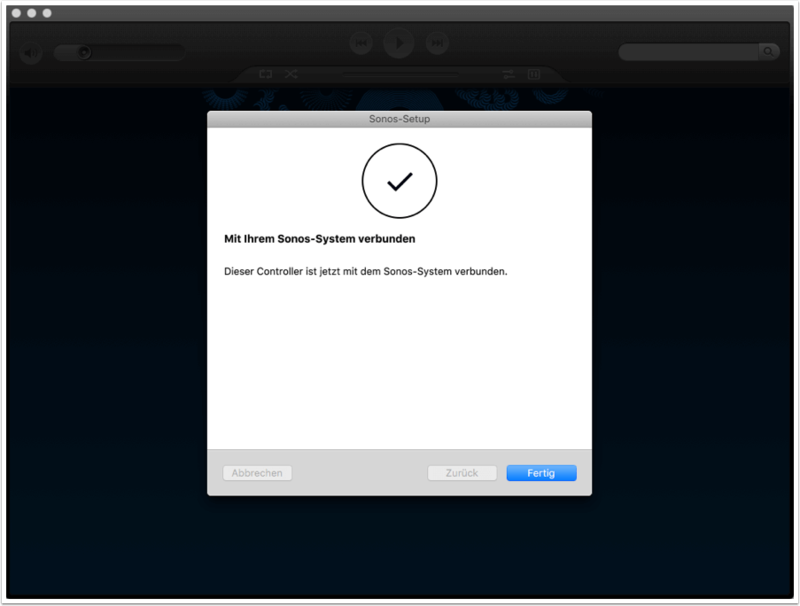 After successful installation, start the Controller App. The following steps show the procedure for the Windows Desktop Controller App. 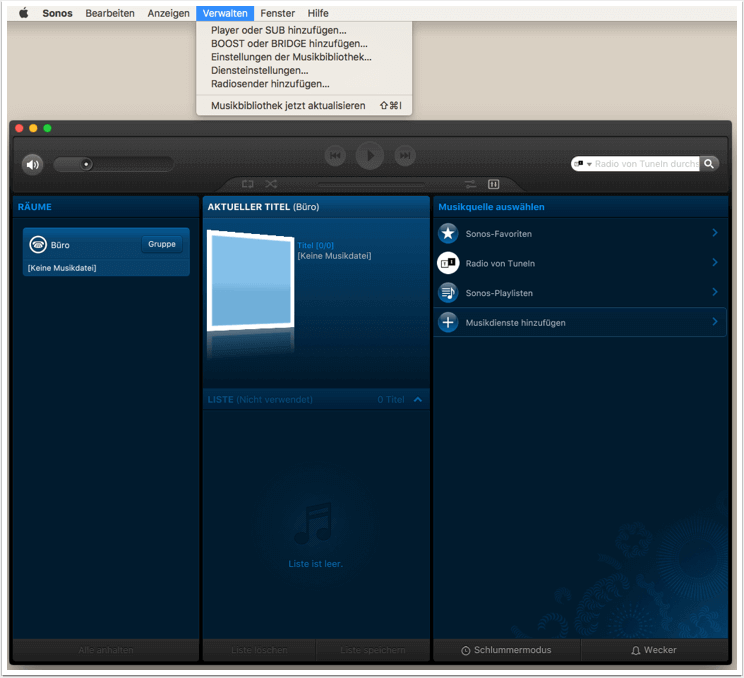 The procedure for the Apple Mac Desktop Controller App is largely identical. 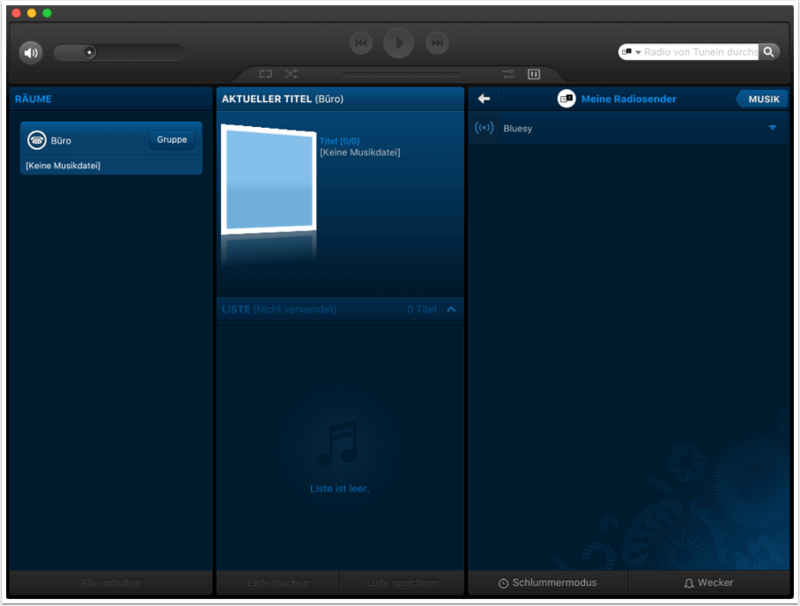 CAUTION: The “Add radio station” feature described below is only available in the Sonos Desktop App. Sonos App Menu on Apple Mac: Select “Manage” -> “Add radio station…” in the upper main navigation. 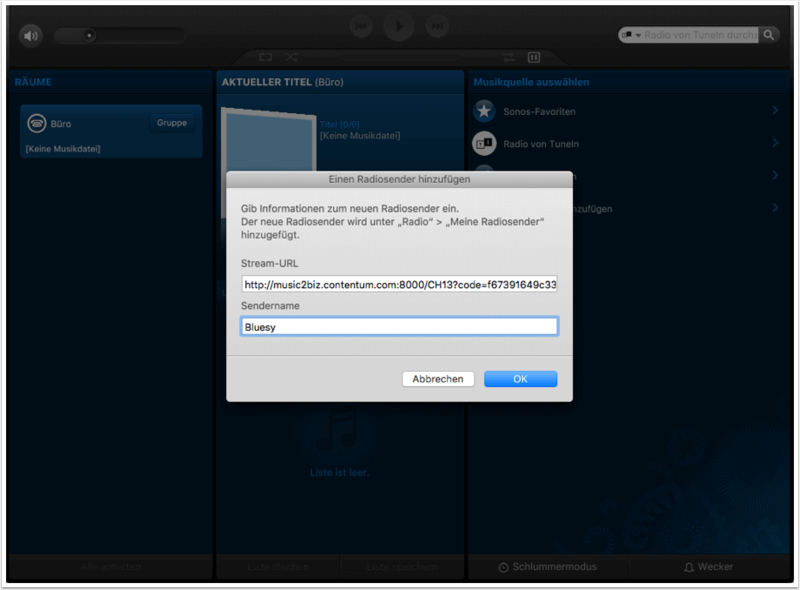 Sonos on Apple Mac: Paste the URL of your choice from the clipboard. Click OK to save the stream URL. Under “Select music source” click on -> “Radio from TuneIn”. 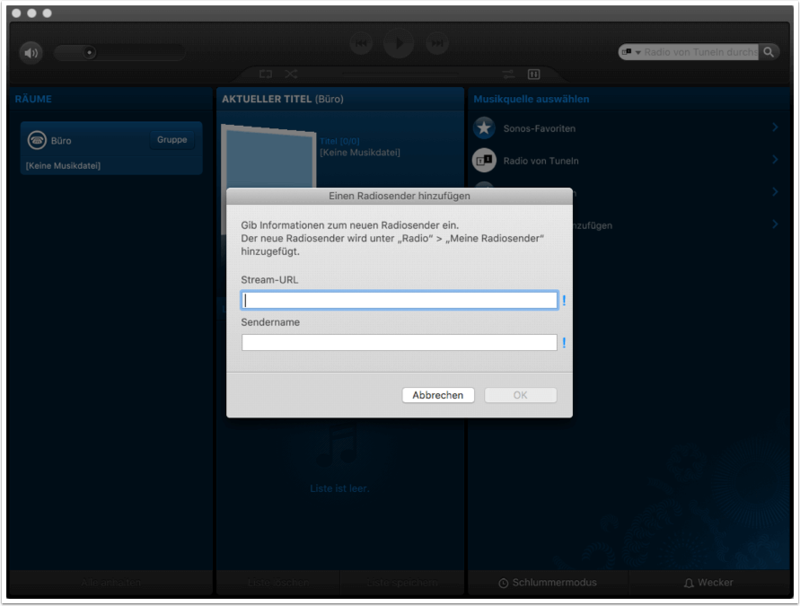 The subpage “Radio from TuneIn” opens. Click on -> “My radio stations”. The subpage “My radio stations” opens and shows the name of the saved Strema URL “Bluesy”. Click the blue arrow and select “Play Now”. Your Sonos speaker will now start playing the MUSIC2BIZ Bluesy program. 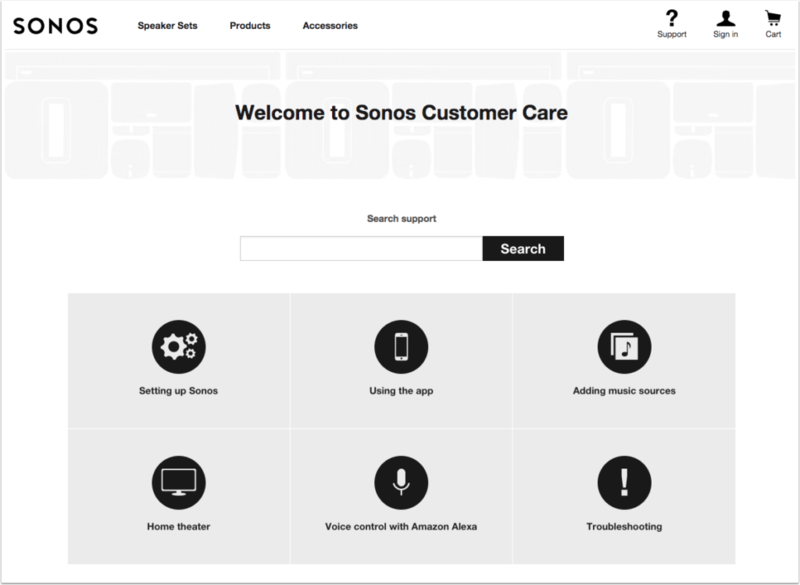 It’s done: Your Sonos loudspeaker system should start playing the MUSIC2BIZ music program you’ve selected.